Great iOS designers know that an app’s UI instructs intuitively and subtly. Great iOS developers know how to leverage old and new iOS technologies, to create a product that entertains, that meets user needs simply and seamlessly. 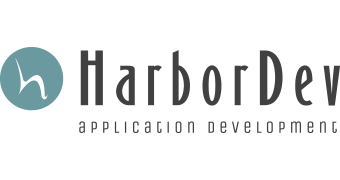 HarborDev’s iOS team is made up of great designers and developers… A team that knows what it takes to make a feature app, that can execute on sharp design, and that knows how to deliver on those high quality details that Apple users have come to expect from their software. The launch of the Apple App Store in 2008 forever changed the way that people would interact with their phones. Today, Apple lives up to their own standards of engagement, boasting an audience that engages more than users on any other smartphone platform. When you are developing an app for the iPhone or iPad, you’re releasing it to a market that expects a certain usability from design, and a certain utility from an app’s functionality. Whether you seek to develop an application that will be marketed towards consumers in the Apple App Store, or are in need of a mobile app for your workforce that will be distributed internally throughout your enterprise, we have the skillsets that you need. Our iPhone application development and iPad application development services extend from custom, ground-up development to maintenance and enhancement of existing iOS applications. If you have an idea for an iPhone or iPad app, whether it’s meant for the enterprise or the consumer, our expert team is here to answer any questions you may have. Get in touch to consult with us today.